There is a ‘Pontus in the Air’ lounge at Stockholm Arlanda that is, to all intents and purposes, a Centurion Lounge. It only allows Platinum and Centurion cardholders in. It’s up on a mezzanine with a great view of the runway. excellent – will be there next spring so will take the advice on board! We visited the Amex lounge in Sydney in June – very small, not much food, rude staff! Stay in the Qantas Lounge instead! 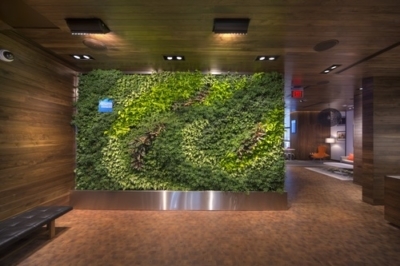 Just used the Centurion lounge in HK. Looks new and modern, but not much comfortable seating if you had to slum here for a few hours. Good food selection and a large bar. Can arrivals use it, or only departures? Surely it will be airside? When you bring a guest into a lounge using Lounge club card , is it still £15 or did it go up to £20 ? I remember reading that Priority Pass had put it up to £20 but can’t find anything about Lounge Club ? I was in Club Aspire T3 a couple of weeks ago for breakfast. I wouldn’t class it ‘excellent’. I’d say it is ‘just about okay’. I was chatting to Amex today, and one of the agents had cause to copy a line from a previous conversation, the operator was called Daniel as I recall… but the copy paste shows a three named Indian name Jagdish Singh Bhati (not his real name but along the lines). I’m really surprised Amex are using fake names in chat! Is that common practice? Every single one I’ve ever spoken with has an Anglicised name which I presume to be a pseudonym. I can’t decide whether they think we can’t cope with Asian names or that Amex want us to think we are speaking to someone in the UK as it’s well known that overseas call centres get a bad reputation (though I have found Amex chat agents to rarely be anything other than charming and helpful, BA could do with hiring a few of them). Who remembers bmi Dennis??? “I know what I’m talking about Sir” and then would proceed to never charge your credit card and/or never take the miles. “YO MAN PAX”. Yes, they are India based but the ‘English’ names are to suggest they are Brighton based. Don’t assume so much when you don’t know the culture. For example, In Hong Kong, all the HK Chinese have their Chinese names but they also adopt a European (used to be British) sounding first name as well, for work purposes. It’s just pragmatic – they know that if they get a job working in English language, foreigners won’t be able to pronounce the Cantonese name. So they also get called adopted typical names such as Agnes, James, Charlie etc. This happens much closer to home! Barra usually gets mentioned here just for the plane landings on the Traigh Mhor (means big beach), but when I was working there (many years ago now) all the people with Gaelic as their first language had both Gaelic and English first names. What was a little odd was that while most of the time the English name was a translation of the Gaelic name, this was not always the case. There did seem to be a thing against lowland Scots names. Thus Seumas called himself James, not Hamish; and Mórag called herself Marion, not Morag. I have had the same experience as Shoestring, when meeting Chinese travels professionals. I recall one woman whose pinyin name was Li Zhu; she introduced herself as Julie. I used to work for Amex and phone names then were common place. The reason being you couldn’t have 2 people answering to the same name in the same department. Cue far out names like Delilah, Tallulah, Roxy and Trent. Those are ones I remember vividly. There were many others. Everyone does. Amazon, every other chat seems to provide Anglicized names. Sometimes the operator doesn’t actually write any English that looks like English. It’s painfully obvious and I really wish they would use real names. We already know when we’re dealing with an overseas outsourced call centre. It’;s usually painfully obvious by the poor service this often gives (not always, but very often). Just be honest about it folks and don;t deny your people’s identity by making them use “fake” names. I once chatted with David Bekkam. All customer service businesses do this. Who is going to pay $50 when Aspire / No 1 is far cheaper? That is long gone and replaced by Club Aspire. I agree it was the worst lounge in Heathrow by a long way. Hum. I thought the old Terminal 1 lounge (not the BMI one) was pretty bad too. Me. 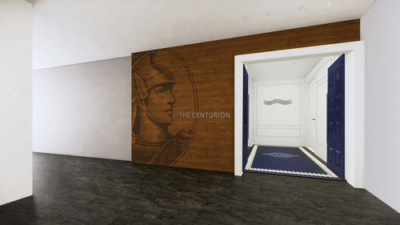 I’ll pay it, If it’s a US Centurion lounge. OT, Any suggestions for Milan Hotel near City centre preferably. 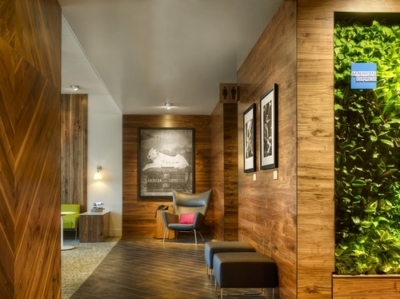 Have Hilton, IHG status and points and Marriott, Club Carlson points. Next stop would be Emir if there are great options there….Please advise folks. We stayed (but didn’t review) at Excelsior Hotel Gallia next to Central Station which has been exceptionally well refurbished very recently. 15 minute walk down to Duomo from Central Station. Hilton is almost next door but was a dump years ago when I stayed. Thanks Rob. I was looking at Hilton but would leave it out now. Excelsior sounds good, also looking at Westin Palace, which is thereabouts…. Yes, about 90 seconds away as you head in. Westin Palance did not use to get good reviews. Principe de Savoia is practically opposite and was much favoured by a number of people I worked with. I dont have up to date feedback on Principe de S but would defo choose something other than the Westin Palace. I stay outside Milan mostly now and very driven by hotel programs and the odd luxury venue so my knowledge is not totally up to date. There’s a nice boutique one in Via Spadari but I can’t remember it’s name. It’s right next to the best food shop in Milan! I stayed at the Michelangelo a few years back and it was OK. Principe de Savoia used to be much liked by those who were less price sensitive, but I don’t have recent info on if it’s still that good. It depends which hotel program you want to earn in… but I’ve found that other than the Park Hyatt Milan, which is perfectly located for shopping and truly superb (according to those I know who did make stays there) price should never be taken as a guide to quality in Milan.